Most of our ministry in the United States is focused on preparing God’s people – in other words, we actively labor to encourage renewal in local congregations and maturity in individual believers. Through retreats, revivals, seminars, concerts, and participation regional and national conferences, our ministers encourage U.S.believers to stand strong for Christ and join Him in His work in the world. Lee Ann Williamson and Lori Smith work together or individually to offer a powerful experience in worship, preaching, and/or teaching in a number of different settings. All of our ministers are also available on an individual basis for preaching and teaching. Lee Ann and Lori are also available to lead worship, either individually or as a team. Revivals: In the old days, many local churches scheduled fall and spring revival meetings each year, with little expectation of a true move of God. The CWM teams not only expect God to bring new life to local churches, they believe that in such a time as this, revival of the church is the crucial element if we have any hope of reaching the world for Christ, or seeing our nation repent and be saved from judgment. After receiving an invitation, through prayer and communication with the pastor and lay leadership of each congregation, we bring timely messages that invoke the work and power of the Holy Spirit. Women’s Retreats: The Bible says that “in the Last Days, God will pour out His Spirit on all people, and both men and women will prophecy.” Lee Ann and Lori want other women to walk in the fullness of God’s Spirit, just as they are experiencing. Our women’s retreats include seasons of worship, prayer, reflection, preaching, and teaching, calling women to seek God and all that He has for them. Working with small local groups and/or in our popular, regional retreats, we go beyond the rally celebration that characterizes many larger events and call women to offer their lives to the Lord as living sacrifices. Many women have become Christians in our retreats, and others have received healing, deliverance, and a fresh call from God. 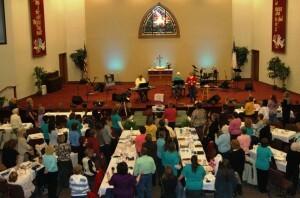 Click here for information about our women’s retreats or other events. 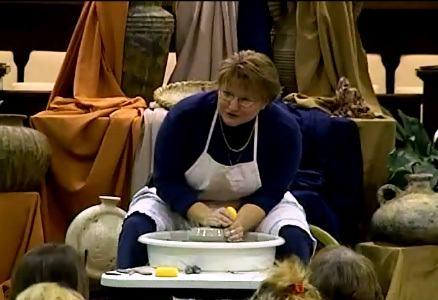 The Potter’s Hand: In March of 2000, for her 40th birthday, several friends joined together to give Lee Ann a certificate for pottery lessons. 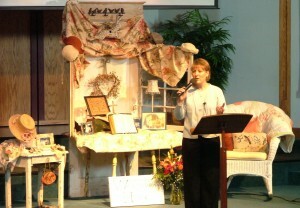 She immediately fell in love with the craft, and began to sense a new opportunity for sharing the Gospel. The next year, Grace & Gladness led their first Potter’s Hand retreat, with Lee Ann teaching Biblical truths while throwing pots on the wheel. 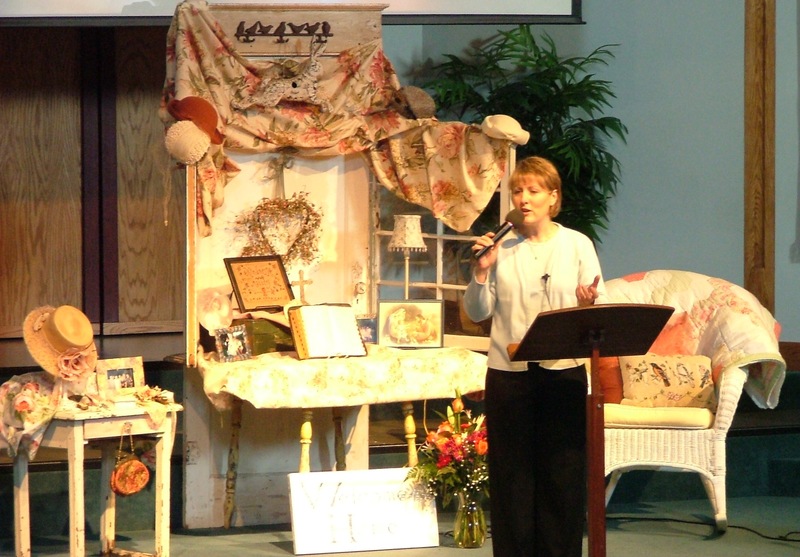 She has even been the featured artist for The Maker’s Market, an arts and crafts fair in North Mississippi, where she had the opportunity to share a simple Gospel message with thousands in a public arena. Whether as an opportunity to reach unbelievers, or a challenge for Christians to grow in their faith, the Potter’s Hand is a powerful tool for proclaiming God’s Word. Click here to view a brief segment of The Potter’s Hand. Concerts: Corporate worship through music has always been a vital part of the ministry of CWM. Revelation 5:8 gives a picture of the four living creatures in heaven, each holding a harp (representing worship) and a golden bowl full of incense, which are the prayers of the saints. Lee Ann and Lori have been glorifying God through music for over 20 years and truly have a gift for creating a intimate setting for worship. 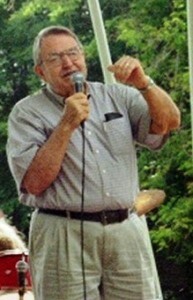 Enjoy a sample from a 2011 Christmas concert. O Come, O Come Emmanuel “Be Born in Me…Christmas through the Eyes of Mary.” If you would like to book the concert for your church or organization, contact us. Click here for a clip from Be Born in Me. In Co ncerts of Prayer, we combine traditional and contemporary worship music with various forms of prayer (silent, liturgical, small group, laying on of hands, etc. 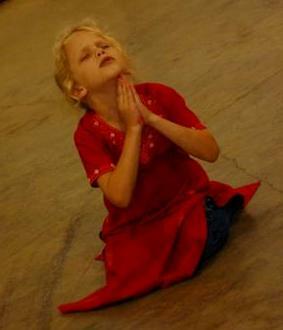 ), usually directed around a specific theme (e.g., Intercession for India, Isaiah 6:1-9, 2 Kings 2). These powerful worship services bring together local congregations and/or regional groups to break the powers of darkness and usher in the Presence and Power of the Holy Spirit. We can tailor-make a Concert of Prayer for your purposes, or you can choose from one of our existing themes. 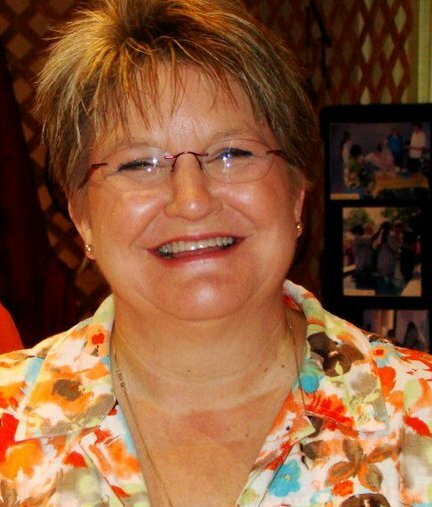 Lee Ann Williamson has over 30 years of ministry experience through local church ministry and parachurch ministry. 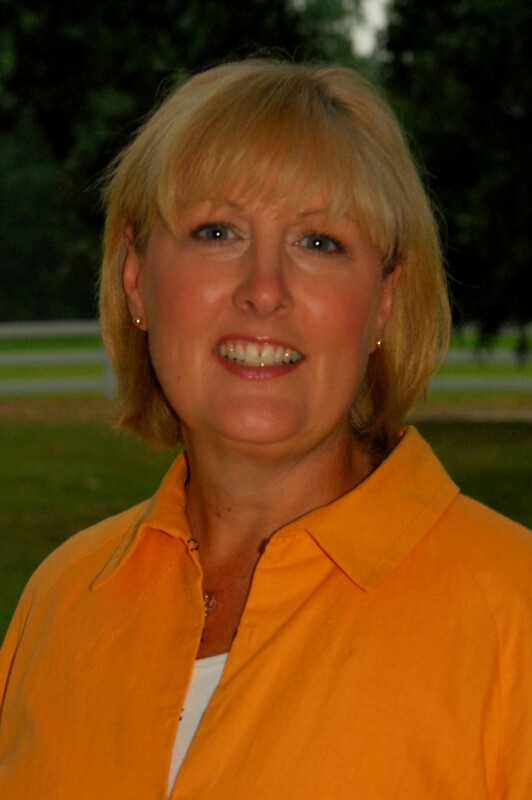 Lori Smith has over 10 years of experience secular work as an Auditor, Assistant Vice President and Senior Financial Analysis and over 25 years in local church and parachurch ministry. Drawing from our vast experience, we can help your church or other organization address various leadership related needs such as transformational change, conflict resolution, general leadership skills, etc… Call us to tailor a program to meet your specific needs. We would love to partner with you, your church or community for a renewal event, women’s retreat, concert or to share about the work of missions. Please contact us to begin the process of scheduling. Call us 662-324-0390 or email us at lori@christianworldmissions.org.